Looking for slime recipes? You are in the right spot! 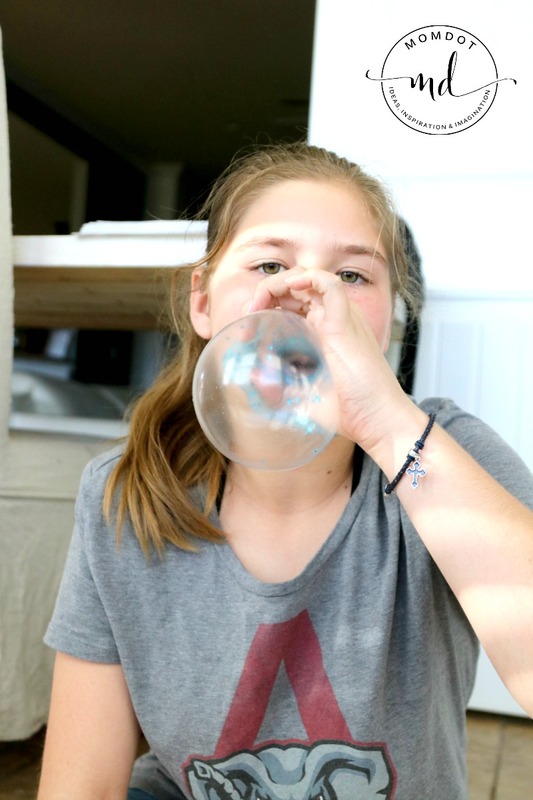 I love slime because of how creative it is so I make a ton of it on this site and with my kids. Slime is such a fun craft because you get to choose colors, textures, even how fast it flows based on the recipes you use. This striped slime is so super fun and the colors I chose, pink, purple, and orange, just reminds me so much of SPRING. Striped slime is probably the most fun to make because as you play with it, it makes these gorgeous stripes falling from your hands and yields different results every time. You could use this same color scheme and depending on how you lay out it, will look totally different! Let’s get started making the slime. First, lets talk about what you need to create slime. You can go around searching for the products but I have done that and stores are just plain out or have small bottles. When creating slime with more than one color, you will need a lot more glue than one bottle. PRO TIP: Many people do not like to deal with borax and water when making slime- I know I don’t. 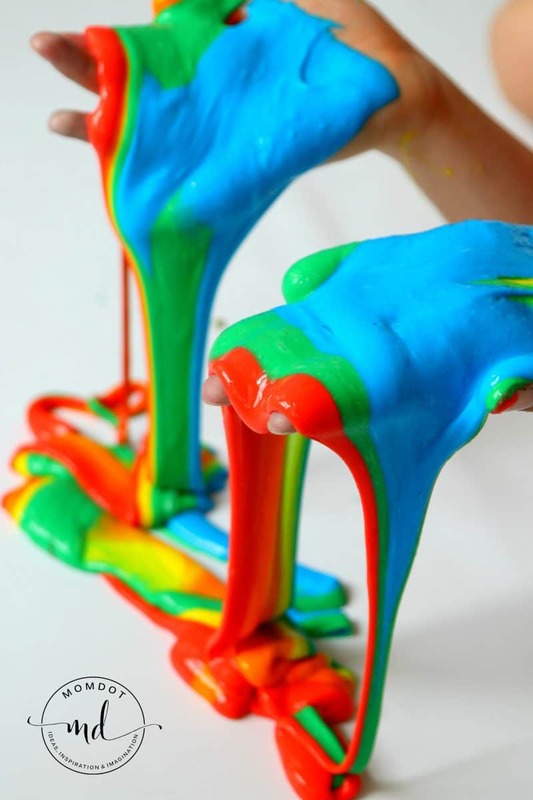 This slime is made with LIQUID STARCH and glue . It’s a ton easier and a lot more fool proof. 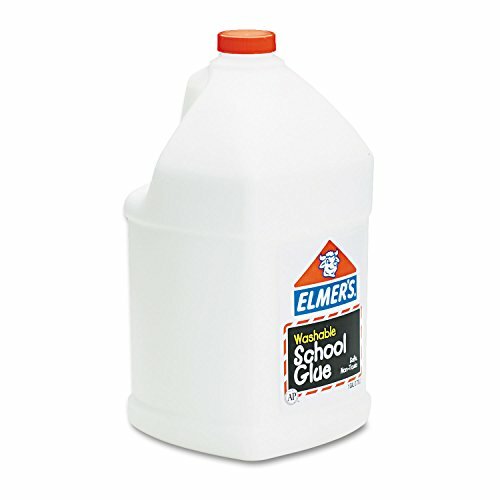 When it comes to the gallon size glue, if this one is out, go to the “Available by these sellers”. Due to the popularity of many of MomDots recipes, stock seems to come and go on this item. If you see one, grab it! Its IMPOSSIBLE to find gallon glue in the stores. Icing Food Coloring 1-2 drops per color – this is the ONLY coloring I use! First lets talk about supplies. I use liquid starch in nearly all of my slimes. I used to use borax but balancing out the right consistency is hard and not kid friendly. Using liquid starch is safer (says GRETA FOR CRAFTS on the bottle) and has results you can trust. This makes sure your kids are not disappointed when creating this project. GLUE! With multicolored slimes like this or to have any amount of slime you can play with, you need more than a bottle of glue. I highly recommend just buying a gallon so you don’t have to be stingy. Plus if you make a mistake, you have extra to counter balance or create more. There is nothing worse than wanting to start over and you don’t have the products. COLORS! The colors used in this spring striped slime is Wilton’s Color Right Performance Color . I like it because it doesn’t water down the glue and provides bright vivid colors. You can grab a set here and its what I will be using for all my slime recipes this point forward. Pull out a bowl for each striped color. In this case, that would be 3 bowls. Follow recipe above. PLEASE READ THIS Now, concentrating on only one bowl at a time, add 1/3 cup starch to the bowl and stir together. The starch and glue will start to form a ball immediately. I only stir for about 15 seconds. Then I take out and start kneading with my hands, passing the goop back and forth, twisting around my fingers. Note at this point it will still be very wet. If there is any starch left in the bowl, keep dipping your glue back into the starch until its all absorbed. The process takes about 2-3 minutes to absorb. Your slime will start slowly unstick to your hands as you play with it. Stretch it like taffy in different directions. In about 3-4 minutes, lay your slime back in the bowl and complete process with the other colors. Slime starts out VERY WET and then unsticks. DO NOT GIVE UP! It will form, I promise! Now line up your stripes in your hand and let slow fall. You can push your hands together, or squeeze and let the stripes come out! TIP: I recommend only using a little bit of each bowl to play with so you have more to start over that is already made! I usually only grab about half the bowl of made slime to play with so I can come back and do more later and see what we get. 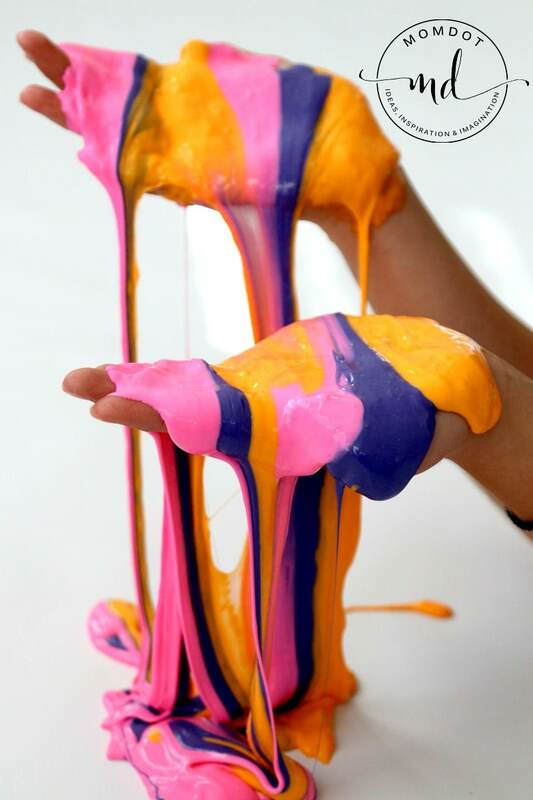 As you play, your slime colors WILL blend and eventually fade out into one dominate color. Once that happens, head over here and create bubbles with your slime and continue playing! Before you go, click below to check out some Rainbow Striped Slime – you can see how different colors look so pretty! So many people message me and ask me how I get slime so perfect…..well, it goes through stages and some people quit before they get to the slimy stage! I did a video showing you what you can expect when you create your slime. It’s a lot easier than you think. Yes, there are two ads in this video near the beginning, which help pay for all this slime recipes and ideas that are provided here and we appreciate your support in keeping those costs down. I think you will like this video and it will help get you less frustrated in creating slime and figuring out the direction you are going. Please note this video is specifically about using WHITE glue. Clear glues and glitter glues are a different consistency and require more starch to firm up.